Approximately three weeks ago we published a quick note that Intel Xeon E5-2670 V1 processors were rapidly falling in price. We also predicted that the fall would continue for the foreseeable future. Three weeks later and we have seen the $199/ CPU pricing fall yet again. 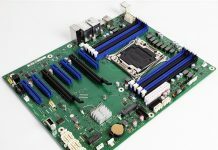 As a quick recap, the alleged reason for the steep decline is that many thousands of these processors hit the market as previous generation Facebook servers were decommissioned by used equipment recyclers. 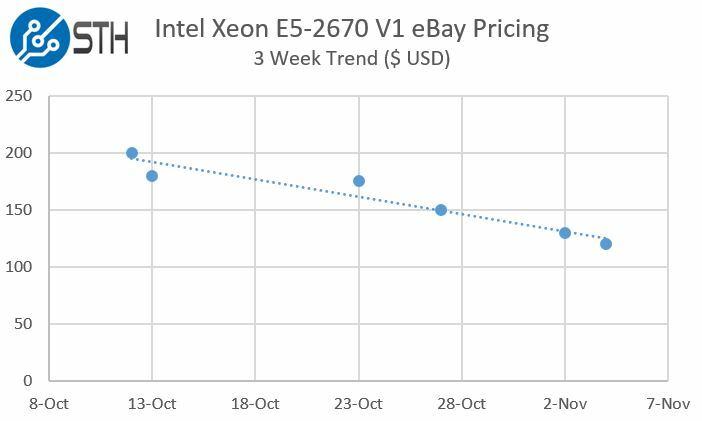 Here is a link to the latest ebay Intel Xeon E5-2670 pricing: ebay Intel Xeon E5-2670 search results (sorted by lowest price first). We last benchmarked the chips in 2013 which you can see here: Intel Xeon E5-2670 benchmarks. They are certainly capable processors. Finding platforms to accept these chips has been challenging. Two ideas are to check the STH Great Deals forum as several have come up recently. Alternatively, the STH For Sale/ For Trade forum is usually a good place to look for deals on rackmount gear that has been previously used by STH forum members. Generally the SR0KX carry a slight premium due to the later stepping. that is some cheap cpu grunt! Nice upgrade for people with 4 core X79 that are doing mostly multi-threaded stuff.